Swans don’t get THAT beautiful by accident: they are the ultimate “preeners” among birds and take the task very seriously. 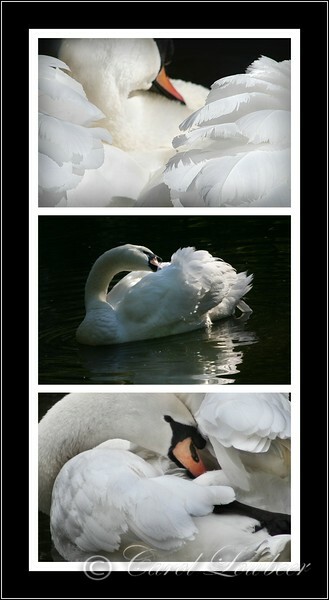 A “preen gland” which produces a waxy oil is located near their tail and the swan spreads it throughout their feathers to waterproof, strengthen, beautify and insulate them. This mute swan is part of a feral swan population on Hanover Pond in Meriden, Connecticut & appears in many of my pictures.